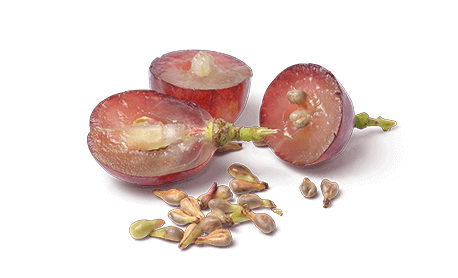 Grape seed oil is pressed from grape seeds. The pressed oil is subsequently filtered or refined. This oil is a valuable source of polyunsaturated fatty acids, which are used by the skin to produce important substances that often have a hormone-like character. The oil has a yellow to greenish colour and neutral taste. Because it contains up to 80% unsaturated fatty acids, grape seed oil is a good diet oil, perfect to dress salads. It can also be applied to the skin. It cleans and nourishes. In addition, it can be used for skin disorders or on dry or greasy skin. A massage with this oil leaves the skin silky smooth and non-greasy. Store at room temperature (± 20 ° C) and protect from light. Close tightly after use.